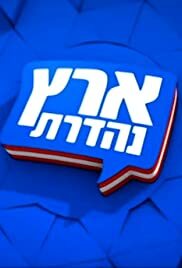 Israels' most famoust satire comedy show about politics & other stuff. The comedy story of five elderly men living in Israel and talk about daily issues. A soldier named Aviel returns to his family because of his grandfather's death, after ten years of not speaking to them. A divorced couple trying to live their life together. Bill Clinton: I fell in love with this country and decided that I, Hillary and Chelsie will live in Israel. Christiana Hochman: [translating to Hebrew] I'm an idiot and want to move here. It's been years since Israeli TV brought us a funny, sharp satire. The main concept of the show is a group of commentators discussing the events that took place the past week. The show became a sensation after only a few weeks of broadcasting. People started to talk and imitate the characters, an act we didn't see since "SNL". Using sharp, smart writing and a very professional group of actors, this show managed to get record numbers in ratings. The show's success also drove celebrities to want to participate on the show. Even American actor, Jason Alexender ("Seinfeld") filmed a sketch for the show during his past visit in Israel on February 2004. This show is defenetley the best show Israeli viewers got to see this season (2003-04). So, if you're looking for entertainment on a boring Friday night, you don't have to leave the house- just turn up the volume, and enjoy the characters to grown to know and love shock you with their sharp-witted sketches.